When you are usually in a highly saturated and old-fashioned industry expect everything else to be the same. Travel has undergone phenomenal changes in the last 10 years with the rise of Expedia, Lastminute.com and many other smaller independent companies that drove the massive change in bookings and distribution through the internet. The big players were very slow to follow and had to buy their way in, to play online, as there was very little they understood and even less they understand today. Content seems to be an unwanted commodity in the travel industry. If it wasn't for search marketing the only content available would be the directions to the hotel. Most businesses borrow content from well known providers such as Lonely Planet. User participation is also part of the fear factor in the industry. Only recently reviews have been encouraged by certain websites and the rest followed by buying those reviews (Tripadvisor). Such is the lack of initiative on this front by all the major players that the whole industry stinks of a hotel room that hasn't been refurbished for 30 years. In a heavy cost-cutting environment it is not only the price that is discounted but also the experience. Endless challenges for the travel boys and girls worldwide and another major revamp of their marketing as Web 2.0 heavily kicks in. How scary must it be that the little guy from Bronx can scream and shout about his crappy hotel visit in Mexico. A few years back he would be banging his head on the industry's wall. 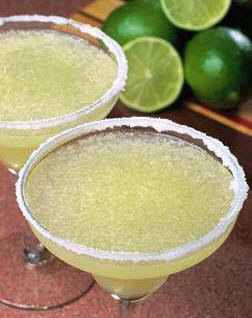 Bring on the margaritas Pablo! Before the invasion of the Internet, hotel bookings used to be a nightmare for travellers worldwide. While things have majorly improved it can still be difficult to book and manage your itinerary. Eurobookings are committed to offering you easy European hotel bookings in a pleasant, efficient and cost-effective fashion. However Eurobookings have more aces up their sleeves. Apart from the customer friendly attitude and the great selection of hotels around Europe, they also offer very competitive rates with no reservation fees, no cancellation fee and absolutely no payment in advance. To me this sounds like a very good deal, since most hotels will tie you in and then refuse to refund if something goes wrong. So you cannot expect more from a booking website if you are looking for peace of mind, making sure that you are being taken care of, before you part with hard-earned money. The website is suitably translated into 12 European languages and there is an interactive map of Europe where you can pick your location as well as a great travel guide. Their things to do section, covers many locations and speciality travel opportunities. Last but not least you can now book car rentals for easier access to attractions. Europe's largest travel and shipping company TUI AG has had a sharp drop in market value. The 2.4% drop is mainly attributed to the shipping arm of the company and not the travel business which perfomed better than last year reaching 2.59 billion Euros. TUI AG is still planning a restructure of its travel business, possibly merging it with British First Choice Holidays Plc. According to studies by the the Pacific Asia Tourism Association (PATA) and China National Tourism Administration (CNTA), China has become the largest outbound travel market in Asia. 10% more Chinese have travelled abroad this year bringing the total to almost 35 million. China is widely expected to become the fourth largest tourist source country by 2020 with over 100 million Chinese travelling abroad every year. GDP growth is fuelling this trend which is expected to shake things up in the travel industry in the region as well as across the globe. Many international travel companies around the world have actively started to promote their products and services to the Chinese as the potential is huge both for growth and further expansion. Amadeus, the established travel technology partner for providers, sellers, and buyers provides distribution, IT and point of sale solutions for the fast changing travel industry. The company has been reported to grow its online travel agency market share to over 64% in 2006. The results come after new agency wins in Western Europe and Asia Pacific. In India alone, Amadeus has won over 4 major travel agencies. The low fare search solutions are the flagship product of the company driving growth in a more often than not turbulent market place. Despite recent troubles and price wars the company has survived and grown by adapting new technologies and listening to its customers needs. Could many companies in travel be proud of paying so much attention to their customer base? Malaysia has long been a holiday hotspot for world travellers. The success of the country as a top class travel destination stems from the combination of many factors. The vibrant urban centres including the world famous Kuala Lumpur and George Town offer a fantastic opportunity to get acquainted with the culture, a series of exotic islands with dreamy white sand beaches such as Langkawi and Penang as well as its astonishing national parks for the nature lovers. With flights starting from £495 Malaysia has become accessible to a wider audience with the result of local amenities growing to accommodate different needs and tastes. The beauty of the country is that apart from the 5 star hotels and resorts you can also go backpacking affordably and discover places where nature and local culture have been little affected by tourism over the years. This combination is making for a very attractive destination that you have to include in your travel plans sometime in the near future. One more reason to visit in 2007 is that Malaysia is celebrating 50 years of independence with extra festivities all year round. 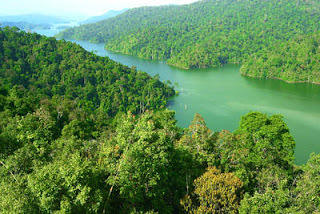 Organise tours with Isango Malaysia. 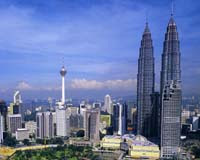 To book airfares and hotels visit Malaysia Travel Market. 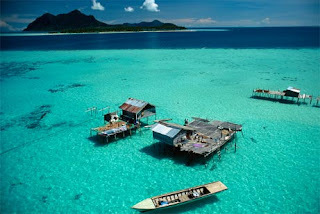 For custom holiday deals try Malaysia Experience. To find out more information about the latest tourism initiatives visit Tourism Malaysia.